BRYAN EATON/Staff photo. 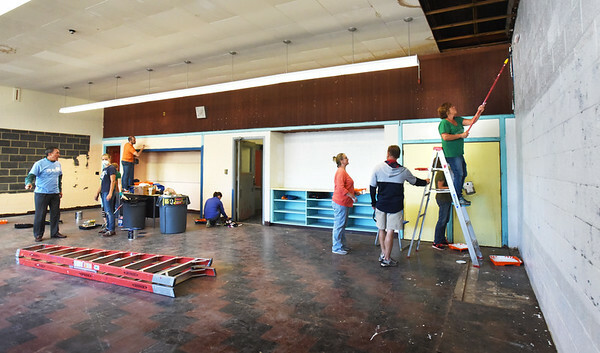 A room used for storage at the Boys and Girls Club in Salisbury is getting a makeover to become the new music room. Volunteers from United Way of Massachusetts Bay and Merrimack Valley and Kurgo company, in Salisbury, sent volunteers to paint the space with materials provided by True Value, which has a partnership with the club, with the local Kelly's as the local supplier.